If you were a cookie what kind would you be? I would be a maple chocolate chip cookie. 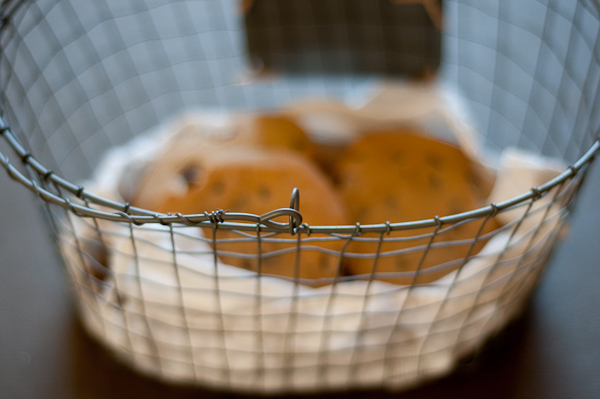 Crispy on the edges, soft and chewy in the middle – with pockets of soft chocolate in every bite. 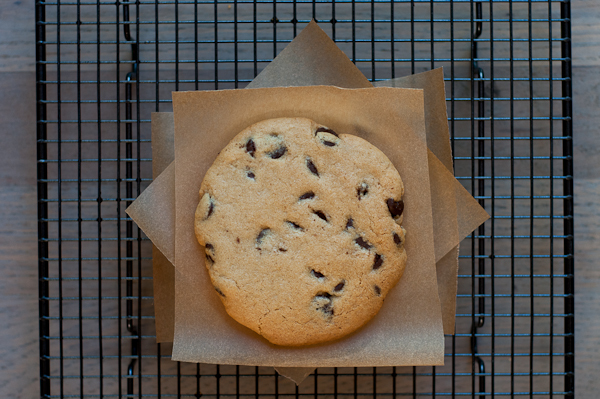 A sweet cookie, with just enough saltiness for contrast. An aesthetically pleasing cookie. A creative cookie – with unexpected surprises. 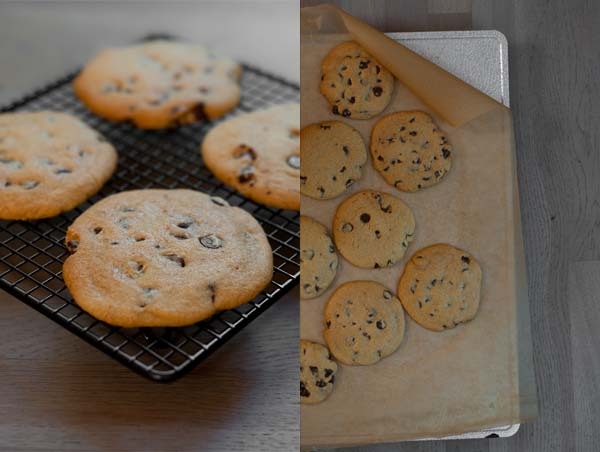 Cookie that is complex in flavor yet simple to make. I know, I know – this isn’t really a Cucee-healthy dessert BUT I have found a way to healthify it – I only eat one cookie at a time! A trick in getting the right texture is under-baking it just a tiny bit and then leaving it on a cookie sheet to rest for 2 minutes before transferring to a cooling rack. This creates a crispy cookie with a heavenly soft interior. Don’t forget to eat just one! Preheat the oven to 360ºF. Set rack in the middle of the oven. Cream the butter and the sugars on medium-high speed until light, 4-5 minutes. Scrape down the sides of the bowl a couple of times during this process. Continue mixing while adding the eggs one at a time. Make sure each egg is incorporated before adding the next. Add the vanilla. Scrape down the bowl with a spatula. Combine the flour, soda and salt in another bowl. Mix with a whisk. With the machine on low, slowly add almost all the flour. Reserve just a bit of the mixture. Remove the bowl from the mixer and add the last bit of flour along with the chocolate. Stir with a spatula until just combined. 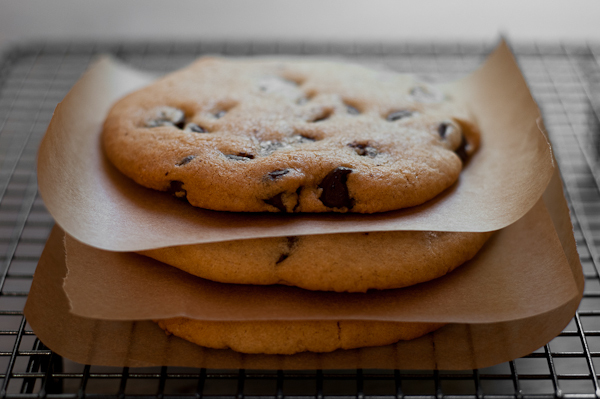 Using a large ice cream scoop, scoop out mounds of dough making sure there is about 2 inches between each cookie. Do not crowd them and there is no need to press the dough down. Sprinkle each mound with a bit of sea salt. Bake sheets, one at time, until the cookies are lightly golden on the edges and a bit gooey in the center, about 12 minutes. Do not overbake! Remove sheet from oven and allow to sit undisturbed for two minutes. 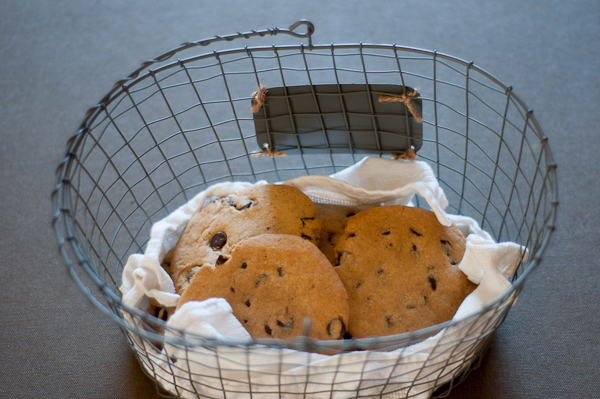 Then carefully transfer cookies to a cooling rack. Repeat with the remaining sheets.